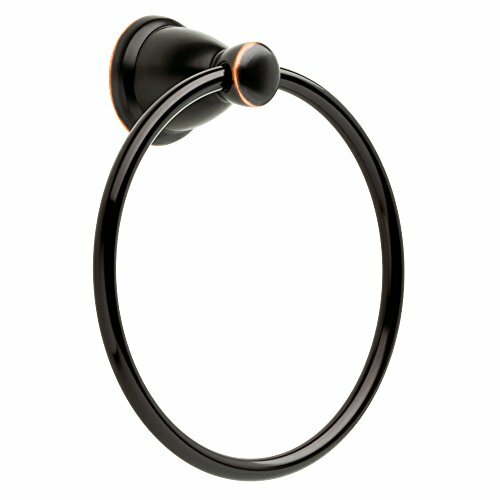 Kina Towel Ring, 1 Per Package in Delta Oil Rubbed Bronze. The Franklin Brass Kinley collection from Liberty hardware has a sleek appearance. The collection is offered in a polished chrome, satin nickel or oil rubbed bronze finish for a lustrous look. This collection has mass appeal with its clean presence in the bathroom. 1 Per Package.